Elizabeth Tudor was born on 7 Sep 1533 at Greenwich to Henry VIII and his second wife, Anne Boleyn. Elizabeth's life was troubled from the moment she was born. Henry VIII had changed the course of his country's history in order to marry Anne, hoping that she would bear him the strong and healthy son that Catalina de Aragon never did. After her christening, Elizabeth spent her first weeks in the royal nurseries, tended by her wet-nurse, her dry nurses the women who rocked her cradle and the women who did her laundry. When she was three months old, she was given her own household, as etiquette required, and on a cold, mid-december afternoon she was carried out to a richly decorated litter and taken in procession through the streets of London, escorted by her great-uncle, the Duke of Norfolk. They stopped at Lord Rutland´s house in Enfield for the night, and the next morning they went on to the palace of Hatfield, in Hertfordshire, which was to be her home. As soon as he had seen the baby safely settled in her crimson satin cradle, Norfolk rode off to Essex on an embarassing mission. He was to fetch Princess Mary. Already deprived of her title of Princess of Wales and told that she was illegitimate, the resentful seventeen-year old was to go to Hatfield as one of her sister ladies in waiting. Mary´s unhappiness and her obstinancy were disturbing elements in Elizabeth´s early childhood. Whenever the household moved to a different location there was another embarassing scene. These dramas apart, life in the household was carefully regulated. All major decisions had to be referred to Henry. Anne too kept a close watch to the nursery; she chose all Elizabeth´s clothes: her personal tailor, William Loke, made the princess´s germents. The girl was like her father in colouring, with golden-red hair and a very fair skin, and Anne ordered dresses of white damask, green satin and yellow satin for her. These details mattered, for clothing was an important indication of status. No one knows who told Elizabeth what happened, or what she felt. Her own household was thrown into a state of disarray. Henry was peoccupied with his new wife and now that Anne Boleyn was gone there was no one to give the necessary orders about the child´s clothing. To make matters worse, John Shelton, her mother´s uncle, was disrupting the daily routine by imprudently insisting that Elizabeth should take her meals with everyone else in the hall instead of eating in her own nursery quarters. Much upset by this interference, Lady Bryan wrote to protest to the King, and at the end of Jun Henry gave orders for Elizabeth´s household to be reorganized, allowing her thirty-two servants. Her half-sister Mary was not one of them. Henry has remarried and was eagerly awaiting the son he hoped Jane Seymour was carrying. Jane was now pregnant by this time and parliament had passed a new Act of Succession declaring that the children of this marriage would be Henry´s heirs: like Mary, Elizabeth was now regarded as being illegitimate. When Lady Bryan´s husband told the child that in future she would no longer have her royal title, she stared at him unwinkingly and retorted: "how haps it, Governor, yesterday my Lady Princess, and today but my Lady Elizabeth?"... he could give o suitable reply. Jane Seymour was eager to gather her new family together, and both Mary and Elizabeth were summoned to Hampton Court for her confinement. As it turned out, she was indeed to bear Henry a son, Edward (future Edward VI). Jane died shortly after Edward was born. She was still liked by her father, but she fell into the shadows once her half-brother was born. Elizabeth was third in line for the throne of England behind her radical Protestant brother Edward and her conservative Catholic sister Mary. When Elizabeth was four, her Governess Lady Margaret Bryan transfered to the household of the newly born Prince Edward, and the little girl passed into the care of Catherine Champernowne, the daughter of a solidly respectable gentlefolk from Devonshire who had received an unnusually advanced education for a woman at thet time. In 1545 she became the wife of John Ashley, a distant cousin of Anne Boleyn. Kat Ashley, as she was then known, came to exercise considerable influence over the growing Elizabeth, to whom she was utterly devoted. Elizabeth's last stepmother was Catherine Parr, the sixth Queen to Henry VIII. She had hoped to marry Thomas Seymour (brother to the late Queen Jane), but she caught Henry's eye. She brought both Elizabeth and her half-sister Mary back to court. A cultivated Protestant, she was anxious that the children of the King have a suitable education, and she encouraged Henry to lure a clutch of eminent scholars from Oxford and Cambridge to teach the Prince. Whenever Elizabeth was in the same house, she shared his lessons. When Henry died, she became the Dowager Queen and took her household from Court. Edward ascended to the throne when he was ten years old. Because of the young age of Edward VI, Edward Seymour (another brother of Jane's and therefore the young King's uncle) became Lord Protector of England. Elizabeth went to live with Queen Dowager Catherine, but left her household after an incident with the Lord Admiral, Thomas Seymour, who was now Catherine's husband. Just what occurred between these two will never be known for sure, but rumors at the time suggested that Catherine had caught them kissing or perhaps even in bed together. When Princess Elizabeth was being questioned about her relationship with the Lord Admiral, her custodian, Sir Robert Tyrwhitt, remembered that Elizabeth Fitzgerald, Lady Browne had gotten along well with the Princess and sent for her to spy on the girl. Lady Browne was not successful as a spy, perhaps by intent, and later became a close friend of Elizabeth Tudor’s when she became Queen. 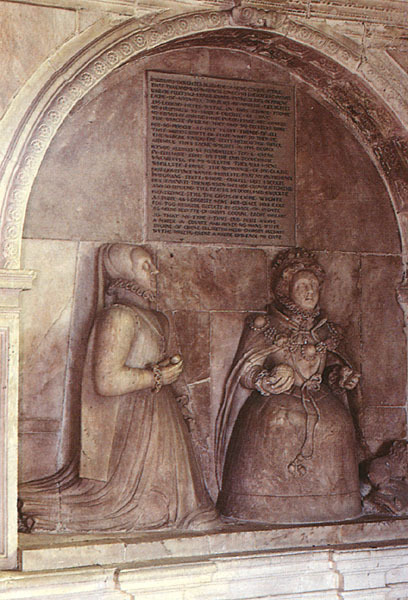 Catherine was pregnant at the time of the incident, and Elizabeth was sent from May to Oct of 1548 to Cheshunt, the house of Sir Anthony Denny. This movement was the week after Whitsun in 1548, wich fell on 20 May; so the date of would be the week of 27 May 1548. Elizabeth will never see her beloved stepmother again. Catherine died of childbirth not too long afterwards. This left Thomas Seymour as an eligible bachelor once again. Elizabeth left Denny´s house and went to Hatfield accompanied by Somerset´s eldest son, Sir John Seymour. She sent a note to the Lord Protector thanking for his concern about her health and for sending Dr. Bill too see her. 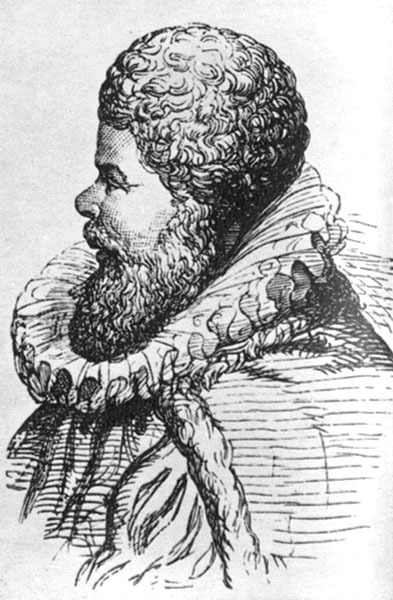 Later, Thomas Seymour was arrested for an attempted kidnapping of King Edward and for plotting to marry himself to Elizabeth, who was an heir to the throne. From this incident, both Thomas and Elizabeth were suspected of plotting against the King. Elizabeth was questioned by Sir Robert Tyrwhitt, but was never charged. Seymour however, was arrested and eventually executed for treason. Elizabeth's household book for the year from October 1551 survives. She was suffering intermittent ill-health, but this did not prevent her from checking and signing every page of her accounts. For a princess she lived modestly, economising where she could. Her table was supplied mainly from her estates. Young Edward had never been a strong child and eventfully contracted what was then called consumption. It is most likely that he had tuberculosis, from contemporary accounts. When it looked inevitable the the teenager would die without an heir of his own body, the struggle for the crown began. Reports of the young King's declining health spurred on those who did not want the crown to fall to the Catholic Mary. 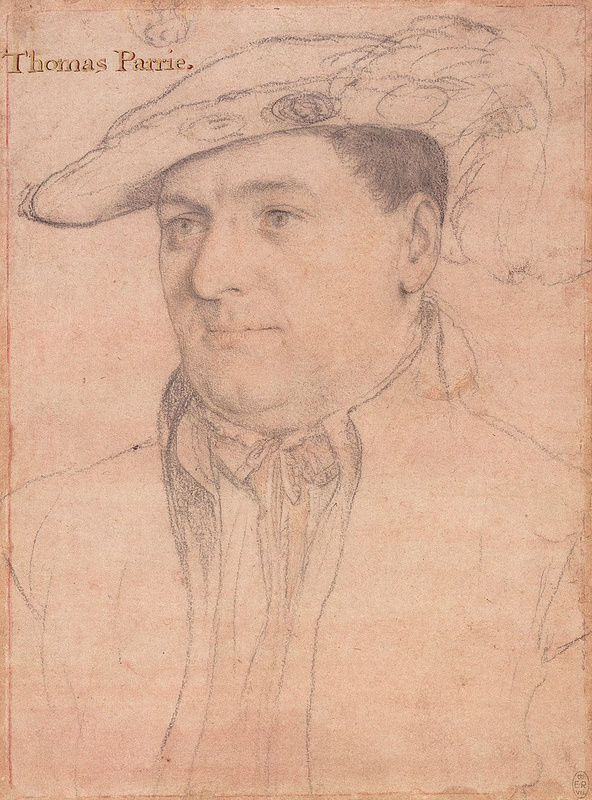 It was during this time that Guildford Dudley married Lady Jane Grey, who was a descendant of Henry VIII's sister Mary, and was therefore also an heir to the throne. At Edward painful death in 1553, Jane was proclaimed Queen by her father and father-in-law, who rallied armies to support her. However, many more supported the rightful heir: Mary, daughter of Henry VIII and Catalina de Aragon. Elizabeth was at Hatfield throughout the crisis. When she first learned of Edward´s serious illness she set out for London to visit him, but she was only halway when received a message telling her to go back. It was Northumberland's doing; he could not afford to have her at Court, complicating his plans. But as Edward's health continued to deteriorate and death was imminent, Dudley sent a message to Hatfield, ordering Elizabeth to Greenwich Palace. She may have been warned of his intentions - more likely she guessed them. She refused the summons, taking to her bed with a sudden illness. As a further precaution, her doctor sent a letter to the council certifying she was too ill for travel. As for Mary, Dudley had told her that Edward desired her presence; it would be a comfort to him during his illness. She was torn - though Dudley hid the true extent of the king's illness, the Imperial Ambassador had kept Mary informed. He was the agent of her cousin, the Holy Roman Emperor Carlos V; Mary's mother had been his aunt. Conscious of her sisterly duty, Mary set out for Greenwich from Hunsdon the day before Edward died. Dudley was enraged by Elizabeth's refusal but he could do nothing. Soon enough, events moved too quickly for the princess to be his primary concern. It was being whispered that Dudley had poisoned the king to place his daughter-in-law on the throne. Of course, this was untrue since Dudley needed Edward to live as long as possible for his plan to work. To this end, he had engaged a female 'witch' to help prolong the king's life. She concocted a mix of arsenic and other drugs; they worked, at least for Northumberland's purpose. The young king lived for a few more weeks though he suffered terribly. Finally, on 6 Jul 1553, Edward VI died. Immediately, Northumberland had Jane Grey proclaimed queen, an honor she had not sought and did not want. It was only Dudley's appeal to her religious convictions which convinced her to accept the throne. As soon as she knew that Jane had been proclamed Queen, Elizabeth took her bed, saying she was far to ill to travel anywhere. During the nine days of Jane's reign, Elizabeth had continued her pretense of illness. It was rumored that Dudley had sent councilors to her, offering a large bribe if she would just renounce her claim to the throne. Elizabeth refused, remarking, 'You must first make this agreement with my elder sister, during whose lifetime I have no claim or title to resign'. So she remained at her beloved Hatfield, deliberately avoiding a commitment one way or another. Once she heard the rising was over, however, she got up and prepared to ride to the Capital. If she did not show her loyalty to Mary, her enemies would accuse her of setting herself as a rival Protestant claimant. Riding proudly at the head of an impressive entourage, Elizabeth reached London on 29 Jul with 2000 mounted men wearing the green and white Tudor colors, to find that Mary had not yet arrived. The citizens turned out to shout their approval as she passed and she smiled and waved graciously to them. She had not been forgotten after all. She might have few friends at the new Queen´s Court, but the ordinary people were offering her their goodwill, and that could be useful. She awaited Mary's official arrival into the city in Somerset House. On 31 Jul, Elizabeth rode with her attendant nobles along the Strand and through the City to Colchester, the same path her sister would take. It was here she would receive her sister as queen. They had not seen each other for about five years. In an atmosphere charged emotion, everyone watched as Anne Boleyn´s daughter moved forward to demonstrate her loyalty to Catalina de Aragon´s child. At nineteen, Elizabeth towered over the tiny figure of the Queen. Mary was thirty-seven, and she looked older, tired and worn after all the excitement of the past weeks. Elizabeth knelt befor her, Mary smiled, raised her up and embraced her. It seemed that they were to be friends. other introduction folloed, Elizabeth presenting her own retinue, and finally, when the procession moved off again, she was in the place of honour, immediatly behind the Queen Mary. Shortly after becoming Queen, Mary was wed to Prince Felipe of Spain, which made the Catholic Queen even more unpopular. The persecuted Protestants saw Elizabeth as their savior, since she was seen as an icon of "the new faith". After all, it was to marry her mother Anne Boleyn that Henry instituted the break with Rome. Elizabeth’s life during Mary’s reign began well, but there were irreconcilable differences between them, particularly their differing faiths. Mary was suspicious of her sister, whose name was mentioned in the conspiracy of Thomas Wyatt, the man from Kent, who had raised a rebellion protesting Mary’s intended marriage to Felipe of Spain. When the rebels were captured for questioning, it became known that one of their plans was to have Elizabeth marry Edward Courtenay, Earl of Devon, to ensure an English succession to the throne. Thus, Elizabeth found herself implanted in a very dangerous political plot that was considered by some to be an extremely sinister method of placing her on the throne. Considering Elizabeth’s lack of desire to marry, it is probable that she would have had no knowledge of their plans, or even approved of them. However, the mere mention of her name by the rebels was enough to suggest that Elizabeth indeed had knowledge of the revolt. Now under suspicion, Elizabeth denied any knowledge of Wyatt’s plans, but Simon Renard, the Queen’s advisor, did not believe her, and counseled Mary to bring her to trial. Elizabeth was not put on trial, but instead was taken as prisoner to the Tower of London. The thought of going to the place from where so few had returned, including her own mother, terrified her, and she initially refused to enter, declaring repeatedly that she was an innocent, loyal subject of the Queen. She did eventually yield, and on Sunday Mar 18, 1554, Elizabeth was imprisoned in the Tower. Elizabeth stood in grave danger as her very existence was considered a threat to the Queen and to the Spanish marriage. Renard urged her execution. But the lack of evidence against Elizabeth, Wyatt’s declaration of her innocent as he went to the block, and Elizabeth’s increasing popularity (the crowds greeted her with warm cheers and gifts) worked in her favor. Elizabeth was no longer seen as a significant threat when Mary had become pregnant, and she decided that Elizabeth should no longer be kept in the Tower of London in 1554 she was sent to the palace at Woodstock starting on 19th May, under the care of Sir Henry Bedingfield. Elizabeth seems to have thought herself in some special danger, for she called to her gentleman usher as he left her and desired him with the rest of his company to pray for her: "For this night", quoth she, "I think to die"'. The first night of the journey was spent at Richmond. Antoine de Noailles, although in disgrace with the Queen for dabbling in Wyatt's treason, was still taking a close interest in the Princess and had picked up a rumour that two envoys from the Emperor were to meet her at Richmond on the following day and would 'lay before her the proposals for her marriage with the Duke of Savoy'. In order to try to find out more about what was going on, de Noailles sent one of his agents to follow Elizabeth 'under the pretext of carrying her a present of apples', but he had been misinformed. There were no envoys at Richmond, and Bedingfield got an early opportunity to prove his zeal by seizing the messenger and stripping him to his shirt. The second night was at Windsor and the third at West Wycombe with Sir William Dormer. The following night was spent at Rycote with Sir John Williams of Thame and she arrived at Woodstock on 23rd May. On the return journey from Woodstock to Hatfield Elizabeth may have spent the night at Ascott Manor again under the auspices of Sir William Dormer. Mary Tudor was nearly 40 years old when the new of her "pregnancy" came. After a few months, her belly began to swell, but no baby was ever forthcoming. Some modern historians think that she had a large ovarian cyst, and this is also what lead to her failing health and eventual death in Nov 1558. On her deathbed and at her husband’s request, Mary reluctantly accepted Elizabeth as heir to the throne. After Elizabeth, the most powerful claim to the throne resided in the name of Mary, Queen of Scots, who had not long before married Francois, the French heir to the throne and enemy of Spain. Thus, although Elizabeth was not Catholic, it was in Felipe and Spain’s best interest to secure her accession to the throne, in order to prevent the French from obtaining it. There was another rebellion in 1555 led by Sir Henry Dudley, kinsman of the Duke of Northumberland. Queen Mary ruled England under conservative Catholicism and acquired the name “Bloody Mary” by the end of her reign, for she murdered so many Protestants. News of Mary's death on 17 Nov 1558 reached Elizabeth at Hatfield House. Elizabeth had survived and was finally Queen of England, crowned on 14 Jan 1559. Elizabeth I was crowned by Owen Oglethorpe, Bishop of Carlisle, because the more senior prelates did not recognise her as the Sovereign, and, apart from the archbishopric of Canterbury, no less than eight sees were vacant. Of the remainder, Bishop White of Winchester had been confined to his house by royal command for his sermon at Cardinal Pole's funeral; and the Queen had an especial enmity toward Edmund Bonner, Bishop of London. With a touch of irony, she had ordered Bonner to lend his richest vestments to Oglethorpe for the coronation. Elizabeth had a rigorous education. She was fluent in six languages, including Latin, Greek, French, and Italian. She once remarked to an Ambassador that she knew many languages better than her own. She was taught theology, history, philosophy, sewing, and rhetoric. She also loved such activities as hunting, riding, dancing, and playing. As a girl, she was often thought of as very serious, and she had inherited characteristics of both her mother and father such as cleverness and firmness. Elizabeth was incredibly intelligent, and admired her tutor Ascham, who remarked that she had the intelligence of a man, for it was her memory and intellect that distinguished her above others, men and women alike. Queen Elizabeth had many things to deal with when she became ruler of England. Mary and previous rulers had left the state virtually bankrupt, and England was in need of some sort of religious mediation. She cut back on royal expenses, encouraging her court to purchase her expensive gifts such as elaborate dresses and jewelry to win her affections and to invite her to stay with them. She even encouraged pirating and men like Sir Francis Drake at times to increase the wealth of England, for, if England was rich, she did not care where the wealth came from. She cut down on inflation and reduced England’s debt. Religion was a subject requiring immediate attention as well, for as much as Elizabeth was a Protestant like her half-brother and father, she did not want to acquire the reputation her half-sister Mary did while Queen. Her religious settlement, known as the Elizabethan Settlement, declared that she did not care what men believed, just so long as they attended the Church of England. She also passed the Act of Supremacy, declaring herself supreme governor of the church rather than the supreme head. On subjects such as religion, she became a master of ambiguity. Elizabeth enjoyed taking to the Thames in her magnificent state barge, served by twenty oarsmen, or a smaller barge covered with satin awnings and pillows of cloth of gold. She visited her favorites palaces: Hampton Court (Surrey), Nonsuch (Surrey) and Greenwich (Kent), both on land and on water. Elizabeth faced another question upon her arrival to the throne: marriage and succession. She had many suitors, domestic and foreign. She was able to use her unmarried state to her advantage, for Spain could not make war on England in France was courting Elizabeth (and visa versa as well). She entertained many proposals. If Elizabeth married a foreigner, she would have to choose which country to marry and she would hand England’s rule over to that country as well. If she married domestically, she again would be forced to choose, for she could not appease everyone. Her favorite at home appeared to be Robert Dudley, a childhood friend, and it seemed for a long that she would marry Dudley. Elizabeth never did marry, taking on the image of a virgin and nicknames such as Gloriana, Bess, and Virgin Mary. She created her own following and religion in a way. Only a short time before her death did she name her successor, for she knew better than to do so before because no one would listen to her once her “heir” was named. Any talk of the succession presupposed Elizabeth's death, and this was one subject the Queen could not bear to contemplate. After the execution oh his mother, Mary Stuart, King James of Scotland wrote to the Queen, Nov 1587, trying to have a written promise from Elizabeth that he, James, be declared her rightful heir. James angered her with his importuning. To teach James a lesson for daring to presume too far Elizabeth promptly, and openly, acknowledged that there was another in the running. Arabella Stuart, other claimant to the throne, was invited to the Court for the first time. The Queen was also politically clever. She was always able to use marriage as an advantage, even when she was older. She worked hard on political affairs, often staying up late at night writing letters and state papers. She tried to keep England out of war for most of her rule, for she saw how war could damage England and its finances from her father’s overindulgence in war. She found calling Parliament a regrettable necessity. She did not like dealing with Parliament, and she would rant and rave at them so she could have her way. She refused to be bullied by her own Parliament. She took an interest in matters of state, despite the fact that the men she worked with could not believe her to be capable of handling such matters. The only war Elizabeth had to deal with was when Spain was sending up their fleet of ships, the Armada, to invade England to overthrow the Queen and reestablish Roman Catholicism. England’s smaller and faster ships, aided by bad weather, defeated the heavy, sluggish Spanish Armada, a great victory for England. Elizabeth was well liked by her subjects. She went on several progressive trips and made many public appearances, so England could see their Queen and to also increase her popularity among her subjects. She always made each and every person who called out to her as she rode through the city on her litter that she was talking to them. She always kept gifts of flowers, letters, food, and poems in her litter until the journey ended. To her ministers and her Parliaments, she would rant and rave until she got her way, but her private was something more interesting. She went through spells of illnesses and depressions, but something could be said of her arrogance. She enjoyed flattery, for it put her above everyone else in the court. Elizabeth had her way, but she was very emotional as well. "It is not my desire to live or to reign longer than my life and my reign shall be for your good"
She had always known that popularity was a fickle thing, and although she said nothing, she knew that those around her were preparing for the time when her reign would be over. She was old, and the illusion that she was not, was falling away rapidly. When visiting the House of a courtier she had to have a stick to walk up the stairs, and during the opening of Parliament she almost fell under the weight of her heavy robes. Elizabeth knew that an aged Queen could not long command the hearts of the young, who were waiting for the sun to rise on a new world. Also, for some years the Queen had been suffering from some form of mental instability, although at this distance in time it is impossible to diagnose what her condition was. She was no longer quite the charming, witty, graceful, monarch that she had once been. She was rather paranoid, and was increasingly bitter. She was also lonelier and lonelier as more friends passed away. She had never doubted the justice of the execution of her once favourite, Robert Devereux, but she grieved deeply at the death of the man she had loved and nurtured since childhood. Sometimes she would sit in dark rooms, weeping at his young and tragic end. By the late winter of 1602/3 Elizabeth was feeling unwell. She had caught a chill after walking out in the cold winter air, and complained of a sore throat as well as aches and pains. She lay resignedly on her cushions in her private apartments, and could not be persuaded to leave them for the comfort of her bed. “I am not well” she declared, but refused the administrations of her doctors. It was the opinion of her contemporaries that she would have recovered from this illness if she had fought against it, but she was did not want to. She was old, she was tired, and she was lonely. She was ready to slip into the world where all those she had loved had gone before her. As her condition deteriorated, Archbishop Whitgift (her favourite of all her Archbishops of Canterbury) was called to her side, and the Queen clung tight to his hand. When he spoke to her of getting better, she made no response, but when he spoke to her of the joys of Heaven, she squeezed his hand contentedly. By this time she was beyond speech and could only communicate with gestures. It was clear to all of those around that the great Queen was dying. There was still one matter that the Queen had left unresolved, the matter that had been unresolved since the first day the young Lady Elizabeth had heard that she was now Queen of all England; the succession to the throne. However, it was generally believed that the King of Scotland was to succeed, and this question was put to the dying Queen. Elizabeth may or may not responded, but for the sake of the peaceful transition of power, it was declared that she had gestured for James VI of Scotland to succeed her. It was getting late, and those in vigilance around the Queen's bed left her to the care of her ladies. 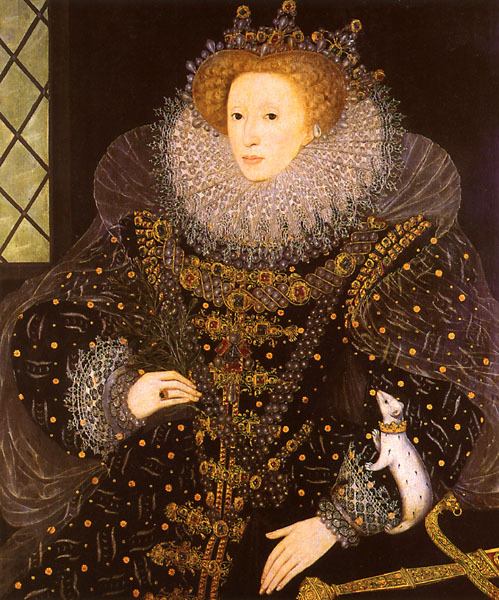 The Queen fell into a deep sleep, and died in the early hours of the 24 Mar 1603. It was a Thursday, the death day of her father, and her sister. It was the eve of the annunciation of the Virgin Mary, perhaps an apt day for the Virgin Queen to die. The Elizabethan calendar was also different to ours, as they still used the Julian calendar - the new year beginning on the 25 Mar. Thus the last day of the year 1602 also saw the last hours of the last Tudor monarch. The new year would bring a new reign and a new era in British history. It was with sadness that the Queen's death was announced on the streets of London the following morning, and witnesses described the eerie silence of the stunned crowd. For almost 45 years they had been ruled by Elizabeth, and knew no other way of life. As the Queen had wished, there was no post mortem. Her body was embalmed, and placed in a lead coffin. A few days later, the Queen began her last journey. She was taken by water to Whitehall, and laid in state, before being taken to Westminster Hall. There her body was to remain until the new King gave orders for her funeral. The grief of the nation was unprecedented, and was a tribute to the remarkable achievements of a remarkable woman, Queen Elizabeth I. In her later years Queen Elizabeth had trouble walking up and down stairs. Many elderly people today have the same problem but at least they have the option of installing a pneumatic elevator in their home. The pneumatic elevator cost would have been nothing to Queen Elizabeth, but unfortunately the first passenger elevator was not built until 1743 for King Louis XV at the Palace of Versailles.